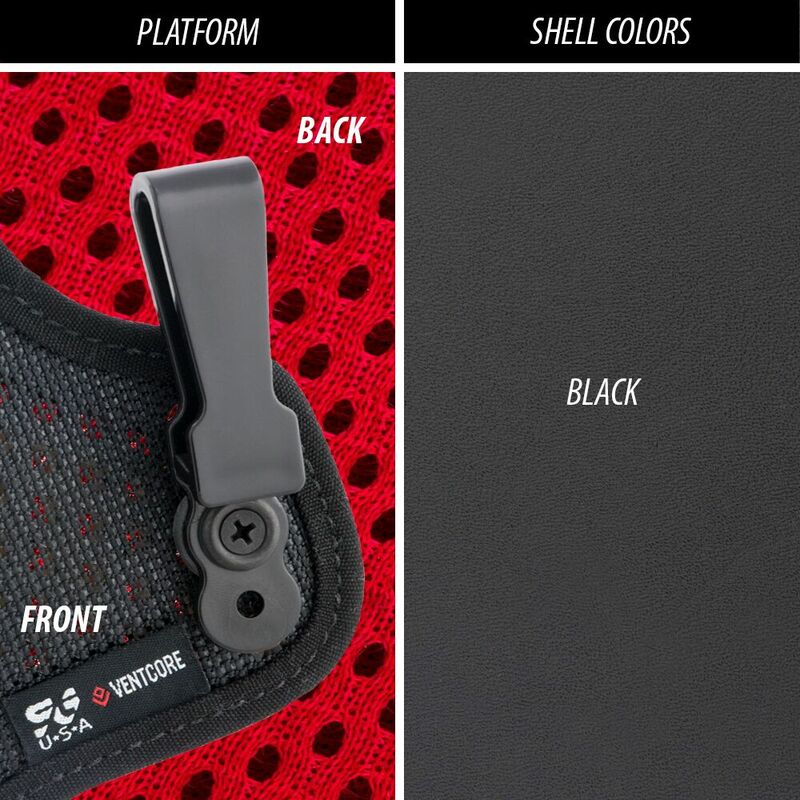 The Ventcore® SG-Scorpion™ combines the comfort of a hybrid concealed carry holster and a built-in claw to deliver enhanced concealment for your everyday carry. Our patented Ventcore® technology is like nothing else on the market today. Each holster has strategically placed laser-cut ports for maximum breathability, a hard holster shell to protect your firearm and a backing of high-performance mesh that wicks moisture away from the body to allow your skin to breathe for all day comfort. The SG-Scorpion is designed to be worn in the appendix position only (front of the body.) The integral claw of the SG-Scorpion helps push the grip on the firearm towards the body. This unique integral claw creates a compact fit without compromising comfort. The claw presses against the belt which in turn pushes the grip of the firearm towards the body for enhanced concealment. 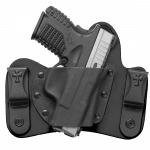 Having the appendix claw designed into the construction of the holster versus using an aftermarket attachment allows for the claw to be ideally placed for the size and type of firearm that the holster is designed for. To further enhance balance and stability, the SG-Scorpion is outfitted with a single wide clip centered on the shell and in line with its claw. 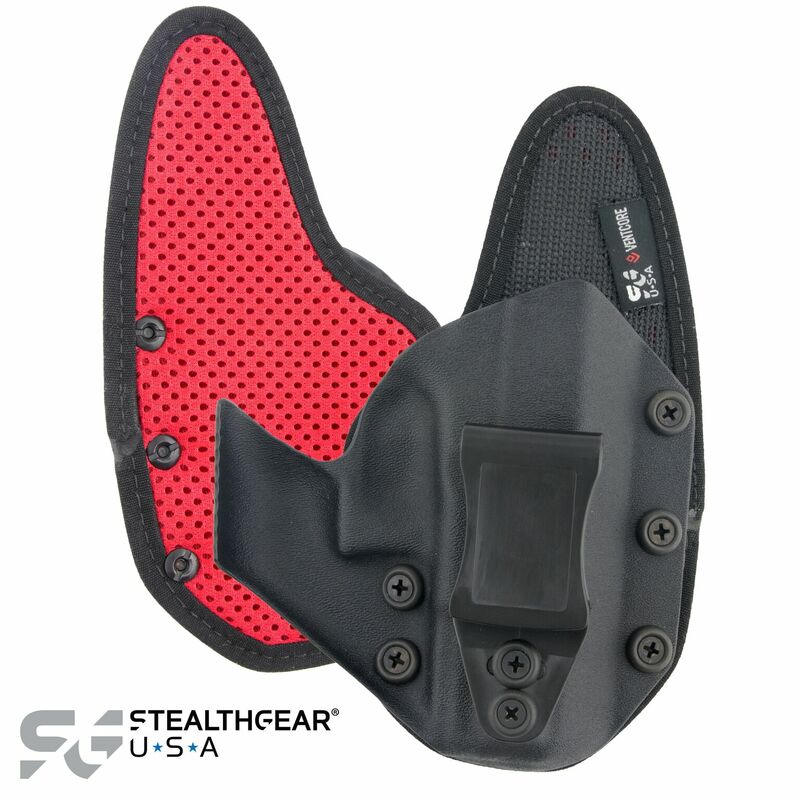 Each StealthGearUSA holster is designed specifically for the firearm it is meant to carry. 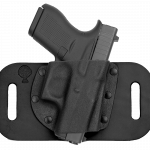 These custom designs result in perfect grip clearance on each holster and 100% trigger guard coverage while holstered. 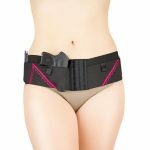 When seconds count, your holster will perform. Be the first to review “StealthGear Ventcore SG Scorpion Appendix Holster” Click here to cancel reply.